In the course of a calling session, telemarketers are likely to be met with a wide variety of objections. Given the nature of b2b telemarketing, especially when calling into a particular sector or into buyers with a specific job role, many of these roadblocks are likely to be common. Some say that these demonstrate interest and are a potentially a condition of purchase. 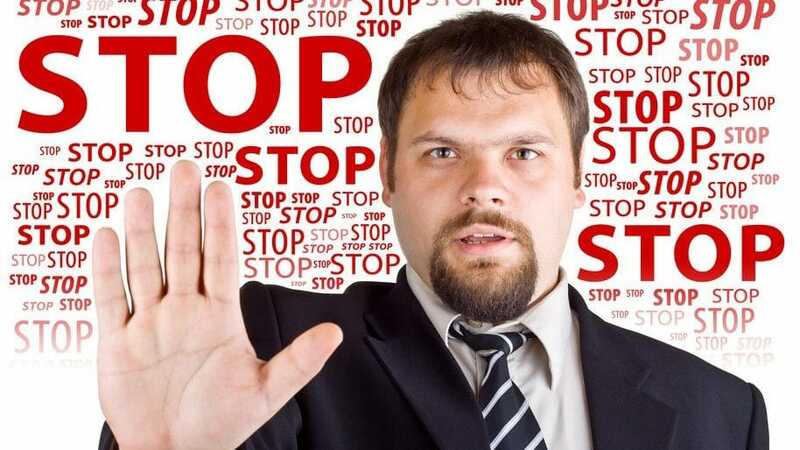 It makes sense therefore to spend some time considering how to handle typical buyer objections. 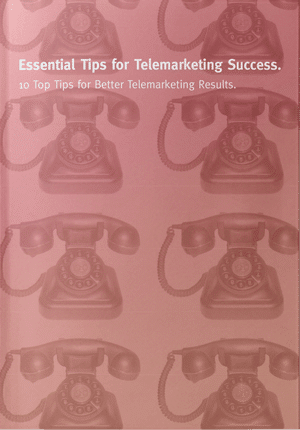 Also, check out our telemarketing tips page and videos for more great techniques to increase your telemarketing success. It is worth remembering here that no telemarketing solutions are fool proof and they certainly won’t work each time. If a buyer genuinely has a freeze on all spending, that may be difficult to overcome. That’s not to say you shouldn’t ask about other spend that could be reallocated of course! The aim is to improve the overall success rate and, if that improves by 5%, then we have a positive result on our hands. A telemarketer may encounter several standard objections that could, if they are not in control of the call, limit their ability to progress. These vary dependent on the industry, buyer and their seniority and the proposition. However, broadly speaking, they will all tend to sound fairly similar. The aim is to be prepared, plan the approach and practice using the suggestions below whilst remembering that it is, to some extent, a numbers game. You can’t win them all! Below is a simple process for handling objections that we would recommend as a base approach. It’s hugely important to actively listen to what the buyer is saying to unearth the reasons for their block. Don’t jump in too soon and try to ‘persuade’ the buyer of the error of their ways. The prospect has a view and possibly an entrenched position. So don’t be too hasty in trying to ram your solution down their throat. If they explain why your service isn’t appropriate or timely, listen and periodically use “OK, I understand” or “I see”. The speaker may explain something that will help you sell to them in the future. If you don’t listen at this point, then the prospect’s next step may well be to put the phone down. Once, the prospect has stated his or her objection, the key is to ask good questions to really drill drown in order to understand what’s behind the objection. This not only shows you are interested in the prospect, but it builds rapport. It also gives more information and time with which to respond and ultimately move towards the objective. By good questioning, clarification and listening carefully, you can gather clues about what the prospect is thinking and feeling and what kind of person they are. Ask a blend of open and closed questions. At this point, we may not know if the prospect is even a valid target so use filter questions (Do you use…?) to establish this. But take care to not allow it to sound like an interrogation or a survey. It should flow and be a two –way dialogue. Perhaps ask what the current supplier does for them or what kind of issues they’ve had. Maybe enquire how they feel about forthcoming changes or legislation in their area. Clarify why they decided to take everything in house when a lot of their competitors outsource. One of our clients used a super methodology that they called the three P’s. They needed to establish whether the prospect used PHP technology, used outside Partners and had a Pain caused by current technology or working practices. If the answer to two of these questions was positive, they then knew they had something of real value to offer the prospect. Don’t dive in with a stock answer. Too often sales people start defending their position or over-emphasising their company or product features at this point. They forget that the buyer may have an entrenched view. There is no point pushing against a locked door. We need to get the buyer to leave it ajar for us. Allowing yourself time to think is a good thing. A pause and a hmm or a “that’s really interesting” demonstrates how you are taking the prospect’s objection seriously. You will also come across less as a typical telemarketer or salesman if you adopt this approach especially if you follow this with more good questions. That will help you unearth what’s really behind the initial objection and hopefully open the door for opportunities now or in the future. This stage may sometimes only be a few seconds after the prospect raises the objection or, more likely, may require more time after the previous steps. The better the questions and clarification, the more likely rapport will have been established and the better the chance to provide a valid response. When you feel the time is right ready, you can use the objection-handling method that you believe will work best. For more on specific objection handling techniques, check out our guide to telemarketing. Once you’ve provided an answer to the prospect objection, it’s sensible to establish whether the process worked! You can ask the prospect if they feel that you have answered their question. If their response is positive and they indicate that they understand the answer to the objection, ask if there are any more concerns or if that’s their only worry. As necessary, handle these new or outstanding objections using the same process. Go for the close IF the prospect indicates their objections have been answered. At this stage, you can ask to move forward in terms of an appointment, trial, first order etc. But beware doing this too early. If the buyer feels you’ve dived in too quickly, they will firmly put you back in your place. So, make sure you’ve dealt with all of their concerns before going for the close.